Happy last Wednesday before May y'all. I'm in full zombie mode because I haven't slept that well lately and I got a wicked sinus infection/probably bronchitis this weekend. Luckily I was able to get my hands on some antibiotics on Friday but on Saturday I felt like someone had lit a campfire in my chest and that I was going to die. I emerged from my sick den on Sunday feeling a bit more energetic...well energetic enough to do the bare minimum of school work I had to do to get my week started. Since then, I've been coughing like crazy. Today is the first day that I feel like I might be getting rid of it for good but I'm SO TIRED. Professionally, I'm excited because I only have another week and a couple days until all my grades will be posted and I'll be done. Creatively, I suffered quite a blow yesterday. Without going into too many details, I know now that I need to work harder. This is something I always knew but didn't want to admit. People who manage to dedicate 100% of themselves to both their writing and their teaching are not human. I don't see how they do it. Now that summer is coming, it's time to push myself and figure some things out. Part of me is excited while the other 87% of myself is burned out. We will see where the road takes me I guess. 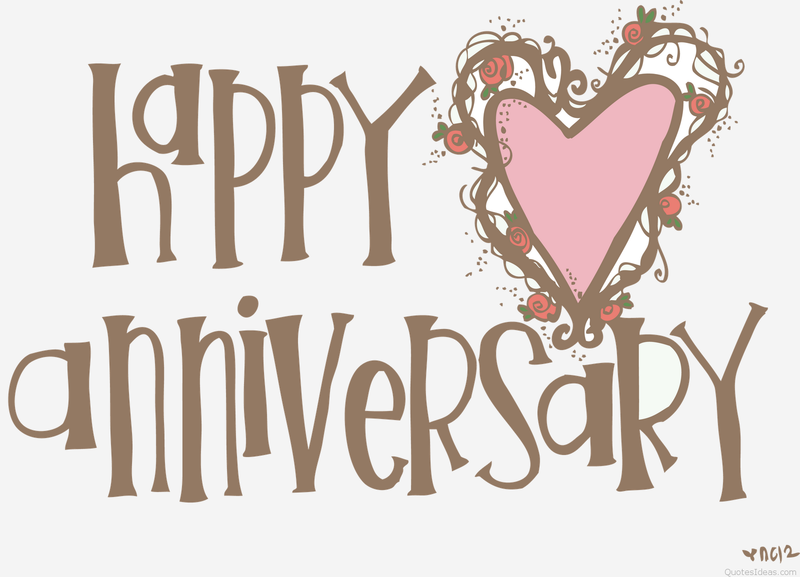 I'd like to wish my parents a Happy Anniversary! 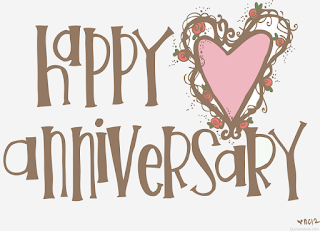 They are celebrating 35 years of marriage on Monday. That's a REALLY long time y'all. Well, congrats to them and thanks for getting hitched so David and I could be here to do this life thing. Finally, since my schtick has been about weight for the past 7 years, I guess I should discuss that. 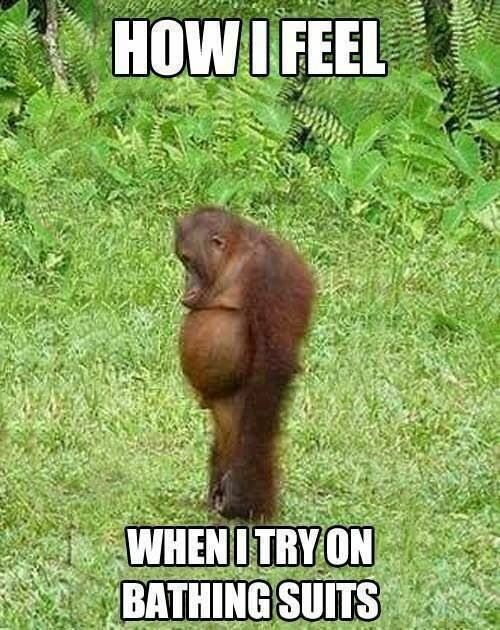 I haven't weighed in a few weeks. At first it was because I was afraid. I'm so sick of looking at the scale to tell me if I'm "good" or "bad." Well, this past weekend I tried on a couple bathing suits I bought and I didn't hate them. 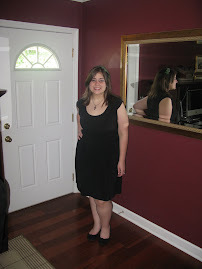 I didn't feel like a supermodel or anything but I put out the extra cash to buy well-made suits that are created for people with hips, thighs AND a belly. 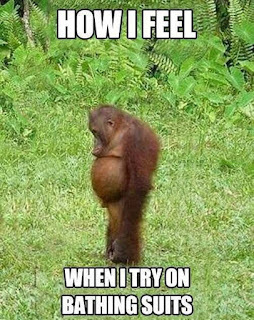 Bathing suit season is almost here and it strikes fear in the hearts of millions of women (and men) everywhere. Well, I didn't feel too bad in them...and I think that's a positive thing. 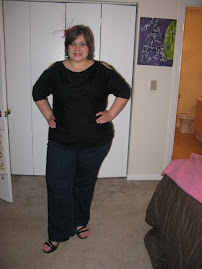 Feeling like you are satisfied with the way you look is far more important than the numbers game. I've been eating well this week and feeling better. So, I'm not sure I want to weigh because I fear that will put me in a category in my mind. Having said that, I'd like to continue the trend of feeling more confident because my beach trip is in a little over 3 weeks! I'll be with friends and have fun no matter what but I want to work hard until then. 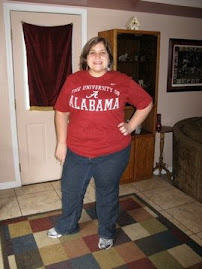 For now, I'm skipping the scale and as long as my mentality stays strong, I think I'll stay off of it for awhile. 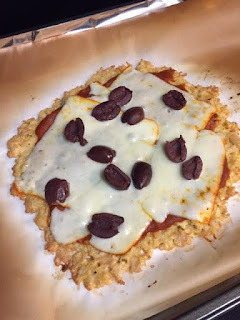 The only food item I have to share today is one that I stumbled on while looking at low-carb recipes. 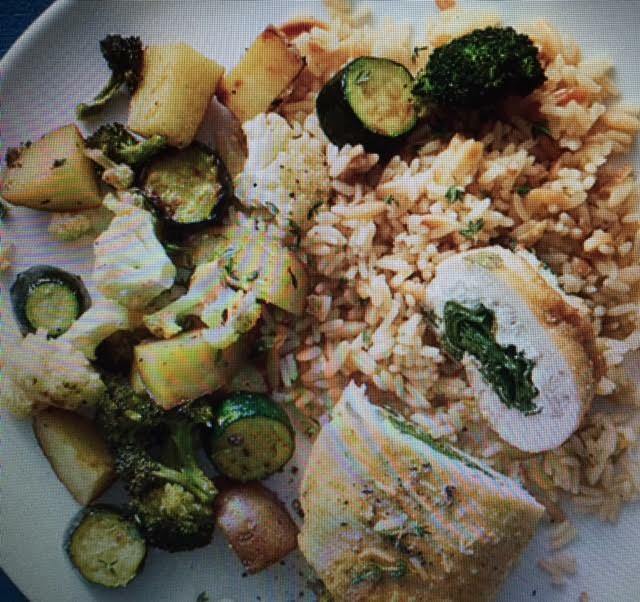 If you are eating healthy, it's only natural to eat less carbohydrates. For me, I can't go carb free again because I'm a total monster without bread. Having said that, I do eat low-carb quite a bit, especially at dinner. I've attempted the cauliflower pizza crust before and it was far too much work to be worth it. 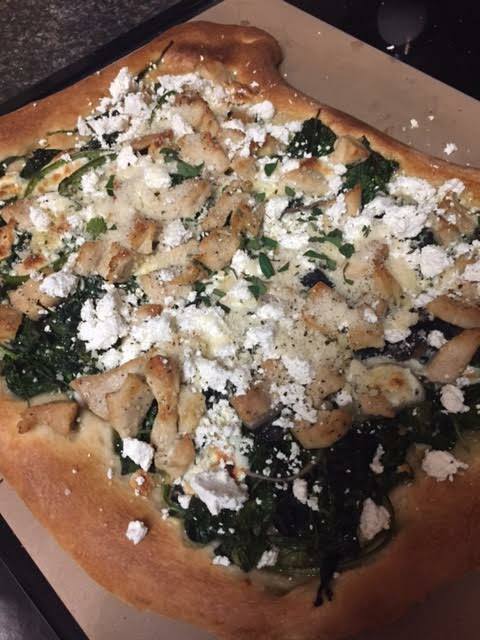 When I saw the chicken pizza crust recipe, I was skeptical but had to try it. The most surprising thing I found about the Chicken Pizza Crust? It's REALLY good. Pre-heat the oven to 500 degrees. I know that's a lot but I think that's to dry the chicken completely. Take two regular-sized cans of canned chicken and drain all the water from them. 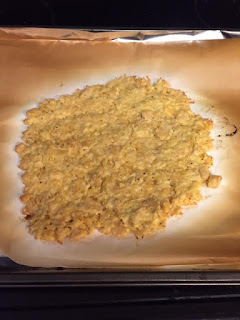 Then, add them to a baking sheet covered in foil and parchment paper. 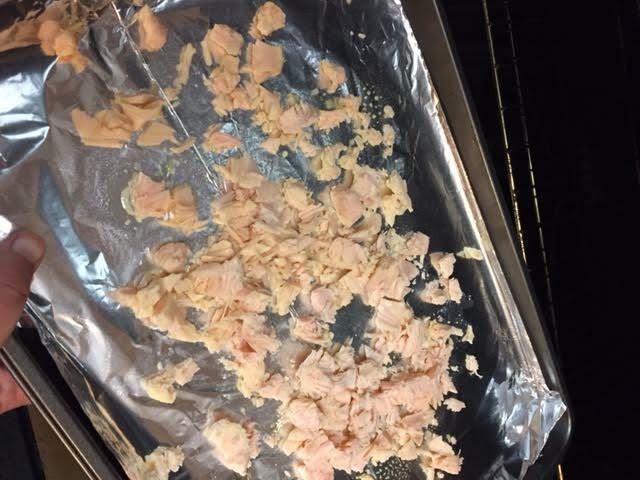 Spread the chicken out in a thin layer and then add to the oven for about 5 minutes. This ensures that the chicken is completely dried out. Look, I know that some of you HATE canned chicken. If that's the case, this may not be for you but you conceal that flavor for the most part. After the five minutes, remove the chicken from the oven and add to a mixing bowl. 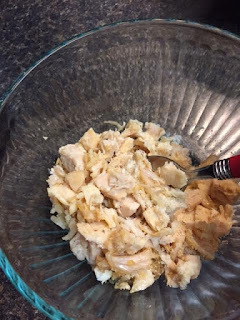 To the chicken add one egg and 1 ounce of grated parmesan cheese (that is what the recipe called for so I weighed mine but it looked to be about a quarter cup). 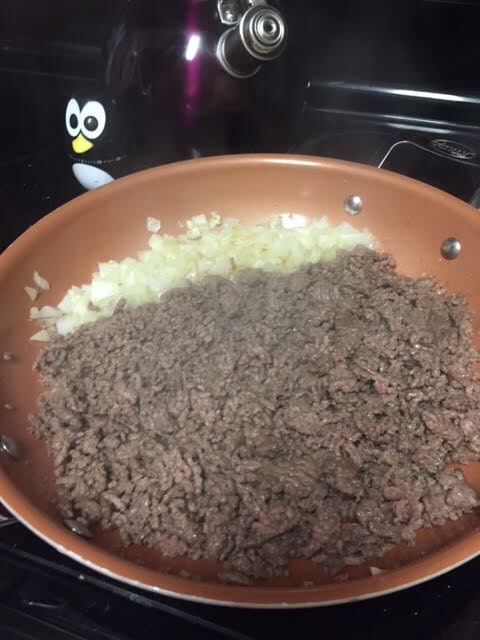 I also added salt, pepper and garlic. 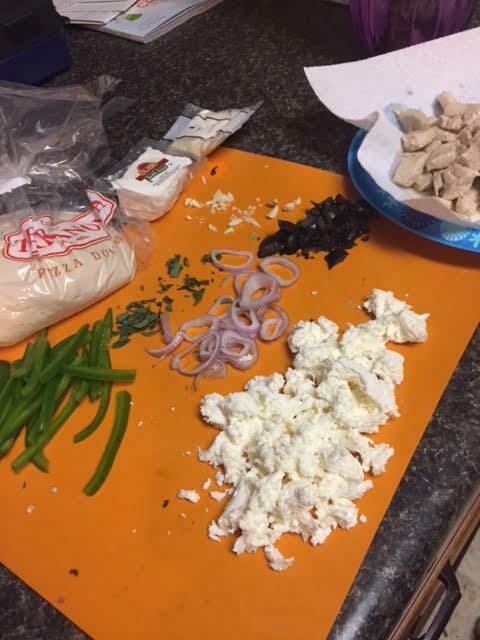 Looking back, I would have skipped the salt because both the chicken and cheese are salty. 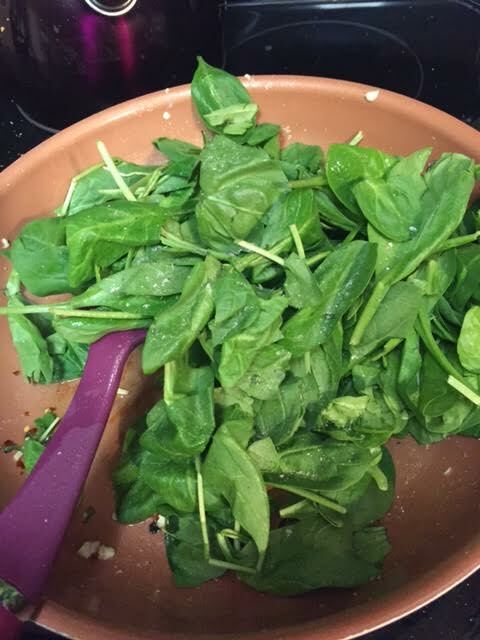 Stir the ingredients until you have an almost dough-like consistency. On the same baking sheet, spread the mixture out, using a spatula to flatten the dough into a circle shape. For me, I found the crust difficult to work with in terms of shaping it so once I got it thin enough without breaking it, I stopped. The shape was...rustic. 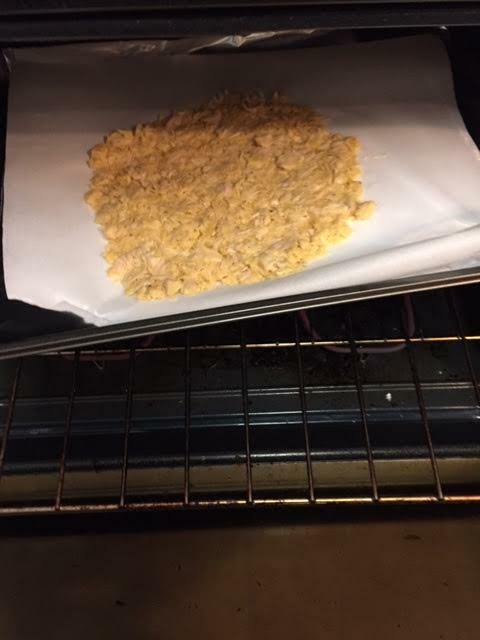 Bake the crust for about 7-8 minutes. Take it out and then add toppings. I know olives aren't pretty but I love them. I only added Muenster Cheese and Olives on top of a layer of pizza sauce because I figured the crust had enough protein in it. 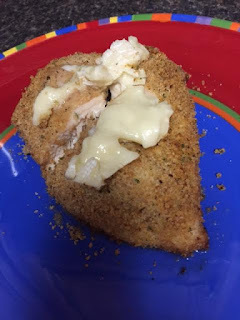 I stuck it back in the oven long enough for the cheese to get melted. 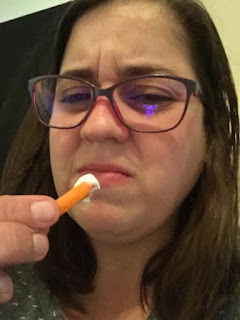 I was still sure that this was going to taste awful and maybe my low expectations made it taste better but when I bit into it, I was shocked to find it delicious! Drying out the chicken almost gave it a crunchy effect and the crust held up when it was cut and when I picked it up as a slice. It was a bit caloric for my taste since you have to use two cans, an egg and lots of cheese. If I only ate half it wouldn't be that bad but it wasn't big and I'm not an "only eat half" kind of girl. If you're on the low-carb wagon, it's a fantastic recipe! Hey y'all! Spring has officially sprung. Actually, it's friggin' hot already. I will be SO happy at the end of next week because it will mean my semester will be coming to an end. Good things are in the books for May: Jordan's Birthday, Mother's Day, my birthday, a wedding and Hangout Music Festival (which means time on the beach). 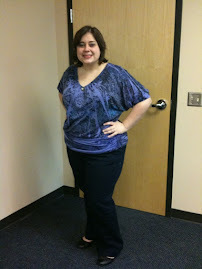 I didn't weigh last week because I was not in the mood. We will see how I feel this week. I was such a sloth all weekend when it came to exercise and food. Easter brings ham and hard boiled eggs and I'm a BIG fan of both. I have phoned it in a bit this week but have a couple things to share. As always, the process of maintaining both physical and mental health is ongoing. Oh, and as an aside, my Oma was able to join us for Easter dinner! She's still recovering but getting stronger every day. So, Ian LOVES ranch dip with Lay's Original Potato Chips. I'll be all eating my standard meat and vegetable and he plops down next to me munching on chips at dip. At first, I'll ignore it. Then, I'll schooch closer and closer to him and ask for "just one bite." 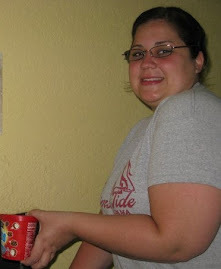 Before I know it I've run through half a bag of chips and a cup of ranch dip. I've decided it's time to remedy this situation. I'm no fan of fat free products but "light" can be pretty good. In fact, I'm quite the advocate for both low fat sour cream and low fat mayo. Having said that, I used the packet mix and combined it with light sour cream. 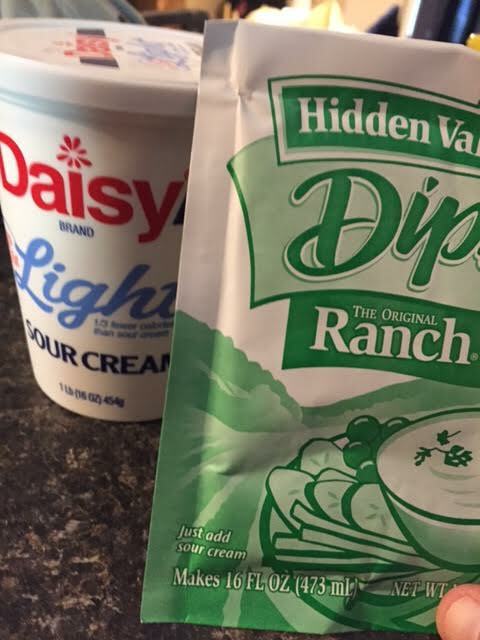 One tablespoon of this dip is 23 calories and it's delicious! 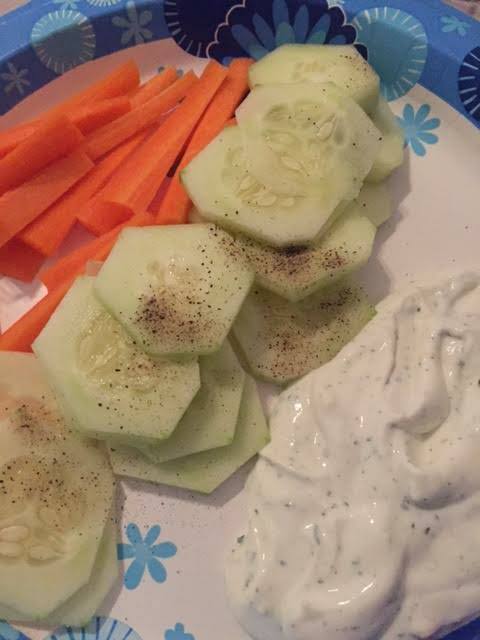 Last night, I dipped cucumbers and carrots in the dip but since my love of carbs generally wins out, I also got some pretzels for dipping. One of the Blue Apron Meals we got last week came with carrots and we both hate them. I hate wasting food even worse though so I decided to eat them. Raw carrots gross me out. However, I will tolerate them when covered in ranch dip. 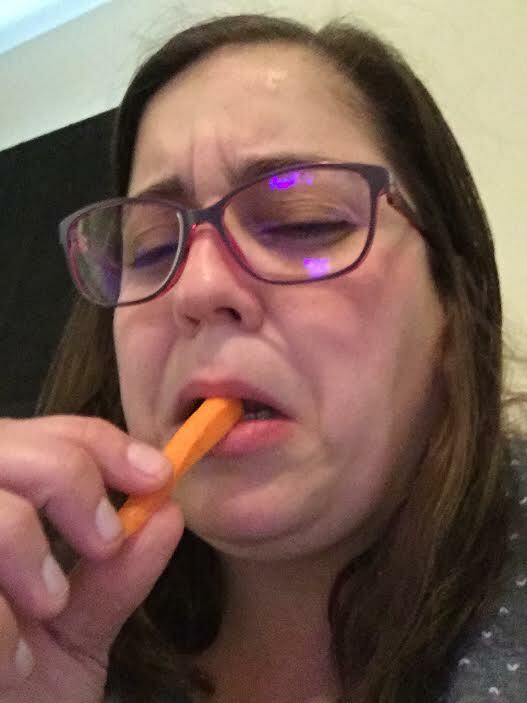 You can see the difference in my face from no dip on the carrot to having ranch dip on the end. It goes from horrified to only slightly disgusted. Anyway, the dip is yummy and works well as dip but also is nice on a baked potato or as a mayo substitute on a sandwich. 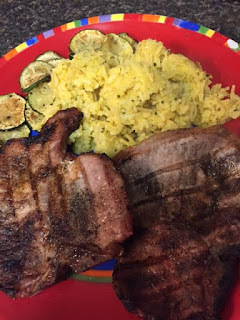 Ian is the cook during the week and he prepared grilled pork chops, cheddar broccoli rice and roasted zucchini for dinner last night. Yes, I had two. They were thin. Also, shut up. The meal was delicious and despite his hatred of all vegetables, his preparation of the zucchini was perfect. 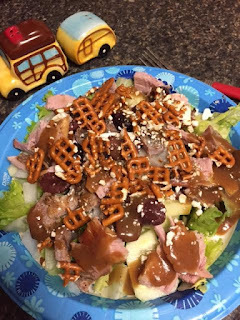 What I'm mostly interested in sharing with you though is the leftover salad I made today for lunch. It had lettuce, cucumber, onion, leftover grilled pork chops, the remaining leftover Easter ham, fat free feta cheese, skinny Asian dressing from Cheesecake Factory, Kalamata olives and 12 crushed up butter flavored pretzels. It was a nice way to spruce up leftovers and have a filling lunch. I'm a big fan of making too much grilled meat and then using it for sandwiches and salads the next couple days. Hey y'all! We are almost half way through April which means I have about 3 tough weeks left of school before I get to the summer break. The summer won't be all fun and games but the stress of five classes will be depleted and my writing and school work will be limited to my own preferred, leisurely schedule. I cannot wait. The light at the end of the tunnel is there, I just have to grade my way out of this semester. In other news, my Oma has been moved from a hospital in Birmingham to a place in Northport where she can gain her strength back. I am so glad she's back in town so we can all see her more and hopefully she will be back and with full strength soon. I hopped on the scale for the first time in awhile this past weekend and while I wasn't in love with what I saw, not much as really changed. I have had momentum this week but feel my strength slipping away for some reason. Will power is not something I can keep up with nowadays. 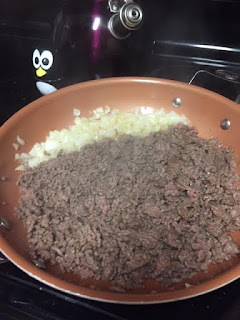 We have been cooking at home a lot though and that always helps. 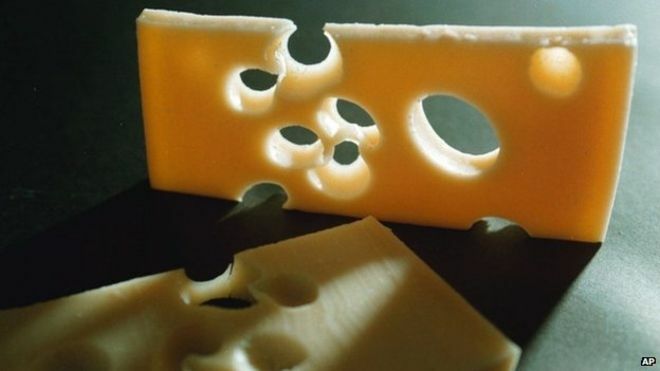 One of my addictions is cheese. I have always loved cheese but I feel that my obsession has grown with intensity the past few years. 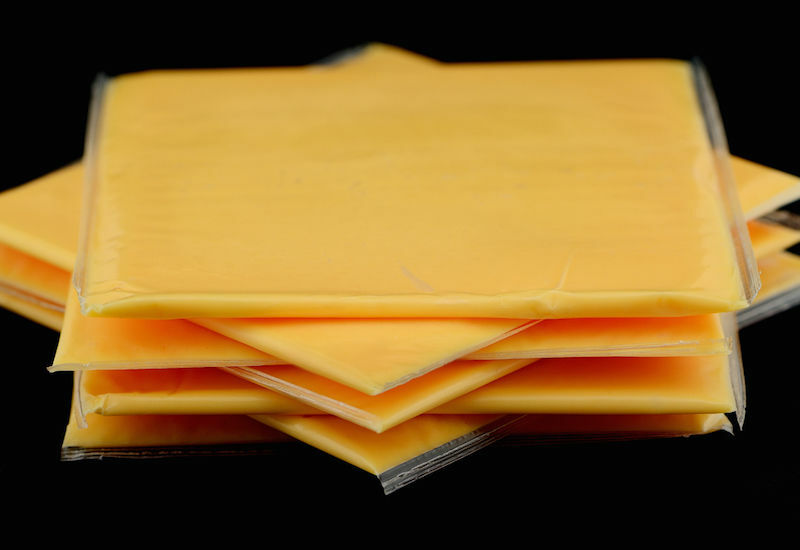 My mother has always has a variety of cheeses on hand and then my late friend David Earp, loved serving a "premium" cheese tray at his house gatherings. Whereas some people don't like potent cheese and others who won't eat the cheap stuff, I am someone who doesn't discriminate. I'll slap the wrapped cheese right on a hot dog because it gets all gooey and melty. 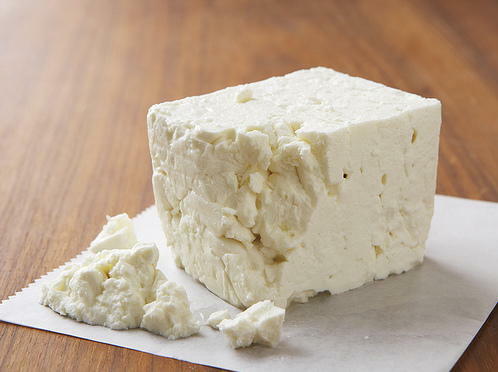 I love adding Swiss to a sandwich and Feta to a salad. 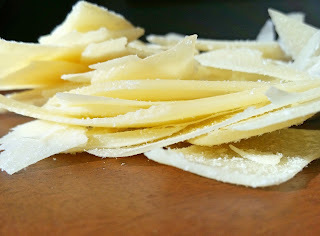 I keep fresh, shaved parmesan in my fridge at all times and can be found grabbing a pinch pretty much every time I pass through the kitchen. 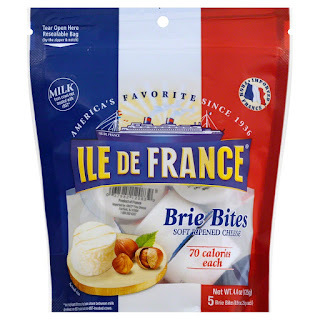 My newest love are these tiny Brie Bites that I found at Fresh Market. For 70 calories, you can have this adorable wheel of Brie Cheese. These bites are stupid expensive so I can't always have them but when I do, I find a reason to put them on everything. Ian and I baked chicken using bread crumbs the other night and though the picture isn't pretty, I smeared that baby Brie wheel right on it and it was delicious. I seriously don't think I could live without cheese. Like, why would anyone do that? Ian and I don't always get Blue Apron because it's expensive and also, it's rare that all three meals appeal to both of our tastes. Well, we got it last week because all three recipes sounded yummy. The first one we made turned out great and featured my favorite thing: cheese. 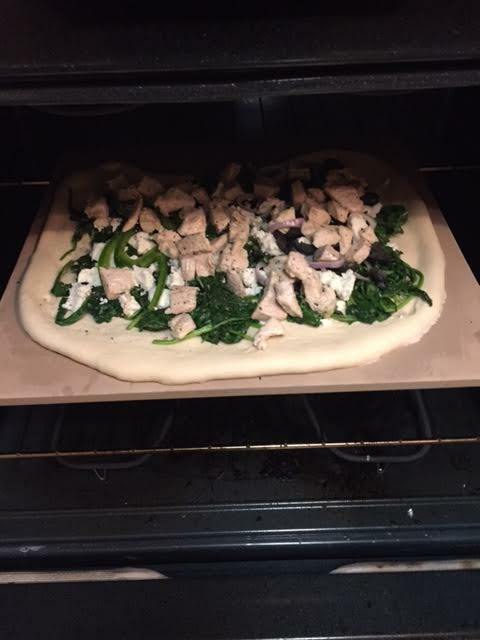 This pizza consisted of spinach, garlic, shallots, spices, olives (only on my side) green peppers (only on Ian's side) olive oil and chicken (which was my own addition that I sauteed in a bit of oil and added to the pizza after it was cooked through). It was served with a side of garlicky tomato sauce. 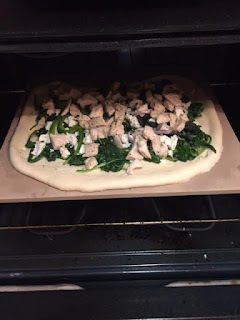 The process of wilting the spinach and stretching the pre-made pizza dough took a bit of time but once I got it all spread out on the stone, it was a cinch. The crust came out crispy on the outside and doughy on the inside. The flavors were great, had a bit of a kick and the mozzarella and ricotta served as the perfect creamy touch. We still have two meals left but the first one was a success. We also took advantage of Fresh Market's "Little Big Meal" this week which came with a chicken roll up (I forgot to take a picture but the one we had included parmesan and tomato sauce), a vegetable kit and rice. Everything but the rice is thrown on a cookie sheet and baked while the rice cooks. For $20 we had a filling, delicious meal and there are still 2 chicken roll ups in the freezer. Just as an FYI, next week is lasagna. That's it for today everyone! 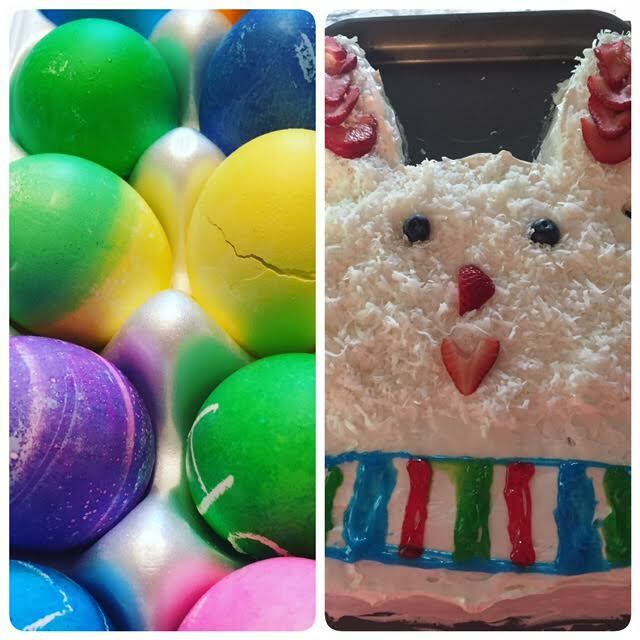 Enjoy your Easter weekend! Hey y’all! It’s a dreary Wednesday in Alabama! The weather is threatening to be bad so the whole state is in shut down mode. The good news is, all of my classes are canceled so I am able to come spend a big chunk of the day in Birmingham with my Oma who is still recovering from big time gallbladder issues. We have now moved out of the ICU! The bad news about school being canceled is that I now have to reschedule my class work and figure out how to get caught up. Oh well, I’ll figure it out and keep telling myself that this time a month from now I will be SO DONE with this semester. I hope everyone is safe in the weather today! I’ve stayed away from the scale a bit longer because I haven’t been on my routine as much as I’d like because of school and the hospital and all the driving. 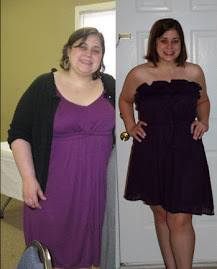 I have however had small victories here and there so I will weigh soon. 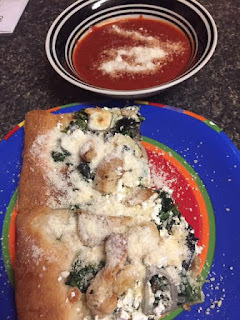 This week, I prepared a Pinterest-inspired recipe that was seriously bursting with flavor! 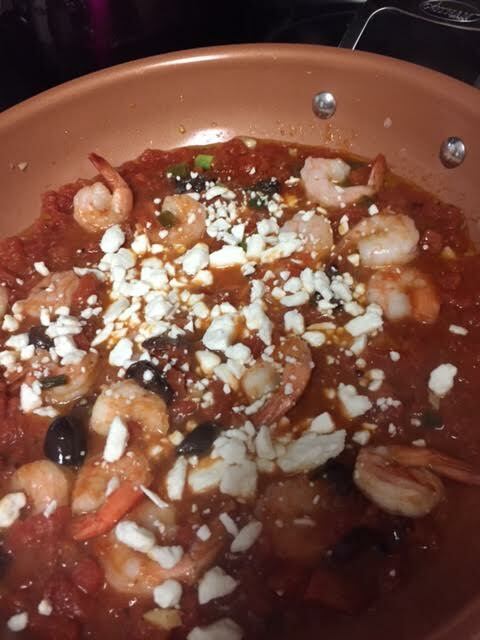 It’s a Greek style tomato dish that uses shrimp. Sometimes my budget doesn’t allow fresh shrimp so ignore the use of the less expensive frozen stuff. I know fresh tastes better but luckily the dish was so tasty, I didn’t even notice the frozen, pre-prepared shrimp. This recipe has shrimp (obviously), olive oil, green onions, garlic, smoked paprika, oregano, crushed red pepper, kalamata olives, a can of petite diced tomatoes, salt, pepper and feta cheese (I used fat free). I also served it on top of a bed of quinoa. To begin, I infused the olive oil (two tablespoons) with a clove of garlic by letting it just sit in it for a bit. 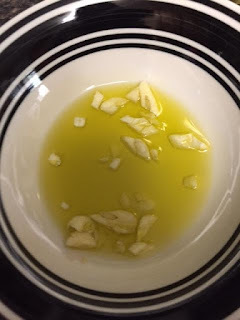 Then, I heated the olive oil and garlic in a non-stick pan on low-medium heat. 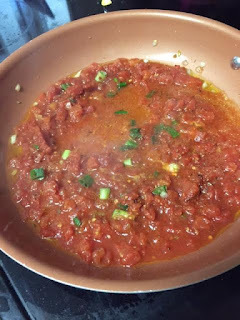 Once the garlic got fragrant, I took out the big chunks of garlic and added the tomatoes, spices and green onions. 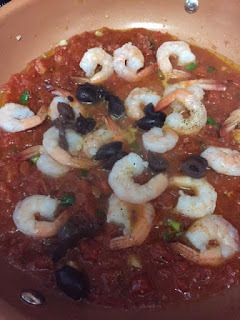 Once that began to simmer and thicken a bit, I added the shrimp (which I thawed) and olives. 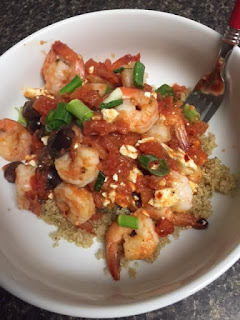 I let it heat all the way through and served it by spooning it on to the quinoa and garnishing with more fresh green onions. My takeaway is that, I’m just not that into quinoa. I’d rather eat cauliflower rice to be honest. 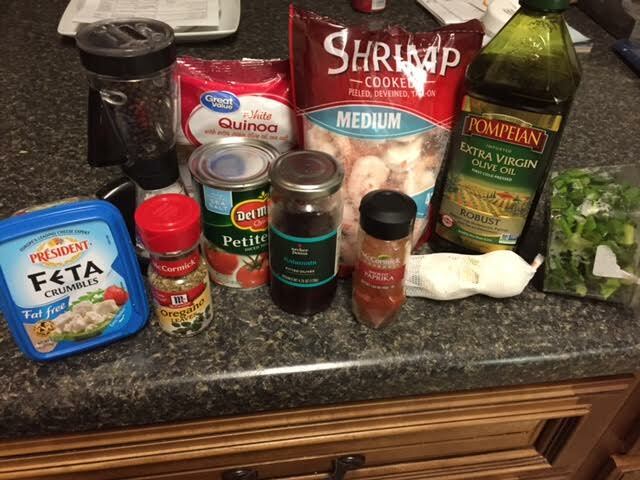 I know it has protein but my overall impression of quinoa is: meh. The tomato and shrimp dish however was DELICIOUS! Before adding the shrimp, I could have easily added some half and half and parmesan and blended it together for a yummy tomato soup with a kick. 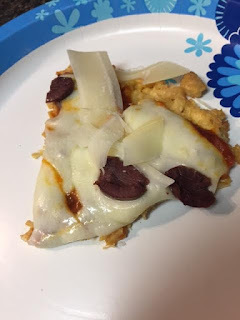 The crushed red pepper added just enough heat and then the cheese and olives added a salty layer. This was really flavorful and I’d make it again. 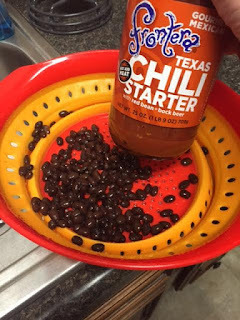 I also wanted to give a shout out to Frontera Texas Chili Starter. Ian and I use this quite a bit. 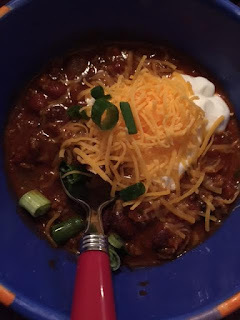 Of course, I like to make homemade chili but this stuff has awesome flavor and the chili is ready so fast! It’s available at Fresh Market and I highly recommend it. Ok everyone! I will post next week! I hope the rest of your week provides shelter from the storm (both literally and figuratively)!